"Jonas' singing voice is as spectacular as her acting performance, and it's just great to spend an evening with her no matter what she is doing." "Tess Jonas brings the right mix of fantasy and caring to Duchess, the park dwellers' own royalty... Her "Fairy Story Girl" solo near the end of the show is shattering." 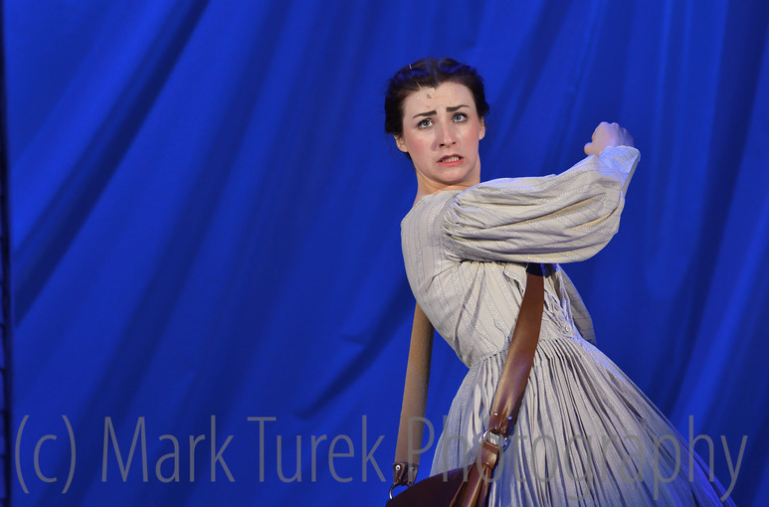 "Tess Jonas as the adult Jane Eyre gives a flawless performance. She really is Jane; bright, and reserved, distant yet warm, and naturally compelling onstage. Whatever Jane's undercurrent, Jonas portrays it with a quiet emotional resonance. It's an eloquent performance throughout." "Tess Jonas is absolutely outstanding as the strident Jo. Whether impudent when pressed by her dowager aunt to display more manners or heartbroken when the man she spurned finds another heart to woo, Jonas displays depth as an actor. Her inflection and diction are impeccable for the character of an intelligent and headstrong tomboy pressing the mores of a restrictive era. 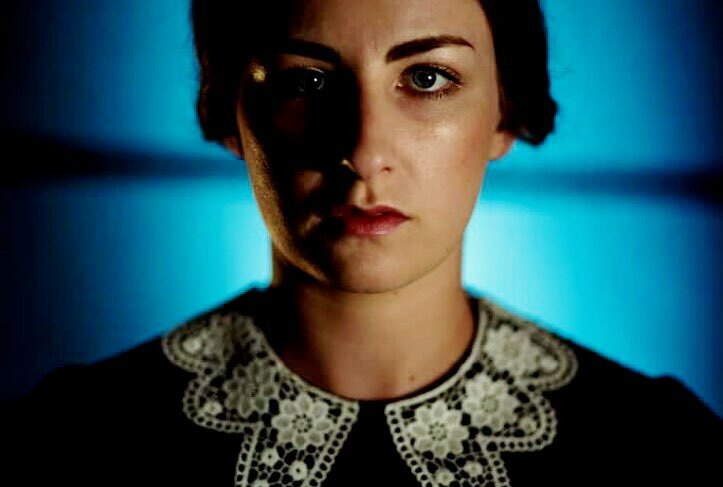 Her vocals also prove powerfully moving... Alcott herself would certainly approve." 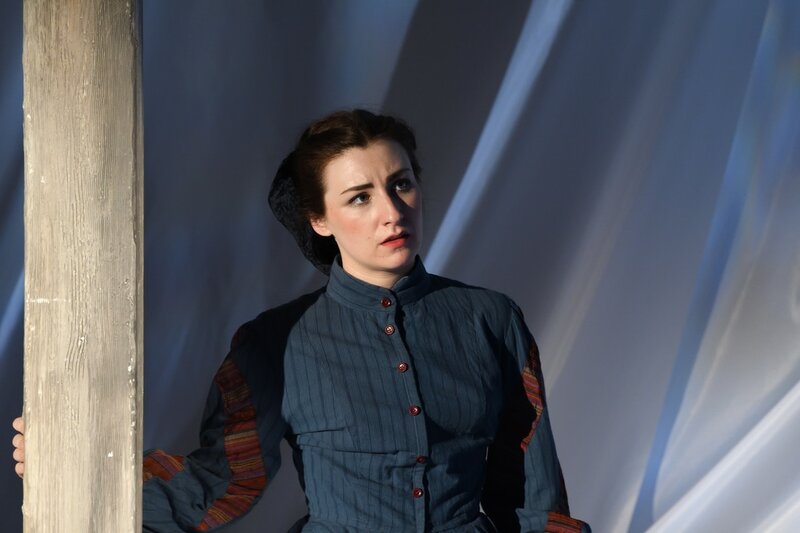 "The undisputed star of this show is Tess Jonas as Jo, who perfectly captures Jo's intelligence, dry wit, and frustration that comes with growing up and not getting what you want easily. Jonas' comic timing is really what makes this production... [she] has this deadpan delivery that just pulls the laughter out of you almost involuntarily, but in a way that is just delightful." "Tess Jonas as Jo is truly phenomenal. She infuses Jo with a physical awkwardness that makes it clear all things feminine do not come to her character naturally. Her comedic timing is spot on and her voice is strong and resonant... "Astonishing" is well-served by Jonas' talent." "Exquisite theater... a must-see... the performers are collectively an embarrassment of riches... A beautiful retelling of a classic with an artist in every role on and offstage; a wonderful work of art not to be missed"
"Tess Jonas is nothing less than spectacular as Jo... displayed superb vocals on "Astonishing" and "The Fire Within Me."" "The entire production is chock full of talented performers, with an especially unforgettable performance from Jonas, feisty and forthright as Jo." "Jonas has a strong voice and vivid presence. She deftly delivers on Jo's feisty personality, her dedication to her ideals, and her unflinching rebel desire to not compromise. It is a winning performance and her voice shines with poise and elegance." "Jonas' comic timing is really what makes this production. This reviewer has seen multiple movie and stage versions of this story, but I don't think I've ever laughed out loud as many times as I did at this production." "Tess Jonas' Percy is all angles, a perfect combination of protective, unpolished, and sharp. As the character evolves, Jonas moves gently into Percy's kinder side - never overreaching, always authentic." ​"There are a few standout performances. Tess Jonas as Hildy the amorous taxi driver is impressive as is Jess Andra as Madame Dilly... Both women have juicy character roles they fit perfectly and deliver faultlessly. They also sport great vocals." "The three comic women are definitely the production's strongest suit: Tess Jonas as a man-hungry taxi driver..."
"Jonas was particularly effective as a brassy cab driver who suggestively insists "I Can Cook Too."" "On the distaff side Tess Jonas impresses with her performance of "Come Up To My Place" and "I Can Cook Too." Her acting as well as singing reminded me of Nancy Kelly..."
"Tess Jonas embodies Christine Colgate with panache. She is fantastically quirky onstage and an amazing ball of energy throughout the show. Jonas effortlessly sings some of the hardest songs to belt in the musical theater canon. Her performance of "Here I Am" is worth the ticket price alone. On top of all that, it is her congeniality and smarts that clinch the role." "...an impressive central cast of characters... The character transformation so deftly revealed by actress Tess Jonas as Christine Colgate is a remarkable achievement." "In an impressive group of vocalists, Jonas shone through with technique, vocal range, and power that elevated the lyrics and gave them sensational emotional depth... Jonas' stamina allowed her to be engaging and dynamic throughout and to smack the audience in the face with rock sung at its best." "The standout of the show was undoubtedly Tess Jonas, who was almost unbelievably convincing as a bipolar mother in her late thirties. She has an incredible voice and was able to navigate the extremes of the part without sounding overly harsh."